Please save and share this graphic. It is intended for you to text friends and share on your social platforms. The Vine is serious about having fun. 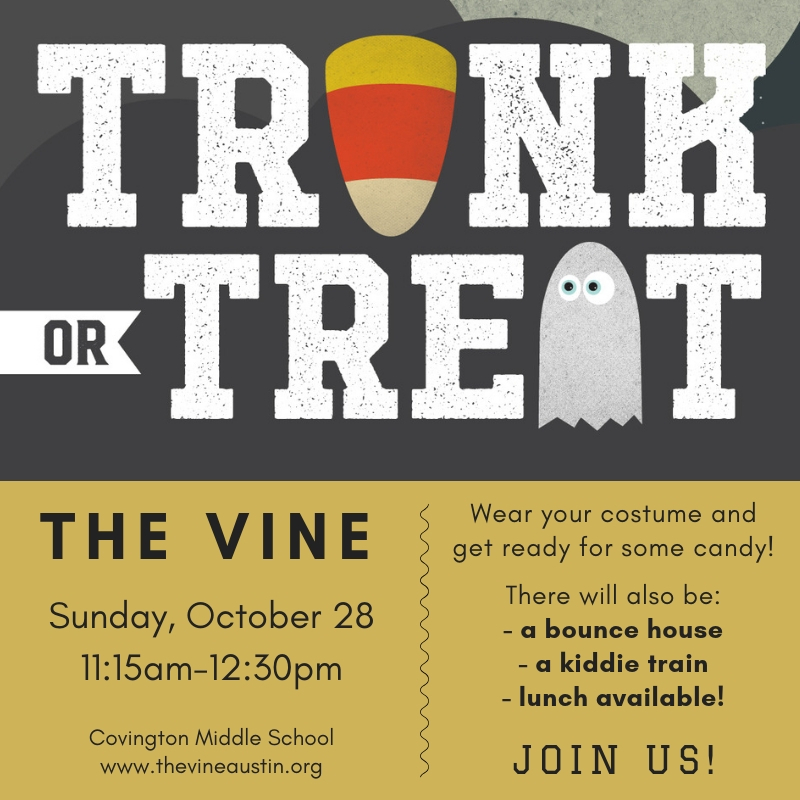 On Sunday, October 28th, the VineKids are encouraged to wear their fun Halloween costumes to church! Kids will be invited to parade across the stage that morning to show off their fun costume- no scary costumes, please. Following church, we will have our very first Trunk or Treat! We have space available for 15 cars to go crazy with their festive designs. Trunks can be hosted by a family, friends or a Vine Group. Trunks and decorations will be whimsical, fun, light and festive. Lunch will be available. This event is open to the public so bring your friends!